I have yet to write about anything fashion related on here, but with my most recent purchase, I felt it necessary. It would be an understatement to say that I have a slight obsession with Marshall’s & TJ Maxx; I can easily admit to visiting the Marshall’s on Boylston Street at least twice a week on my lunch breaks – with such a large and varied inventory, their items are constantly changing, and of course I can never miss out on a fashion bargain! 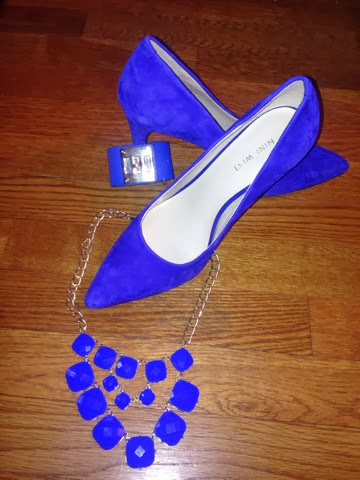 My most recent purchase was these fabulous blue suede heels. Blue is the new red this season and I LOVE bright accessories. It is pretty bad when your husband tells you that you need more heels, so of course I couldn’t say no when I fell in love with these Nine West heels at a great price! I pictured them here with two pieces of jewelry I purchased a month or so back. 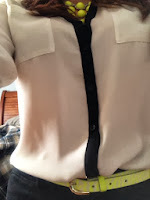 Now that I have to dress like a grown up every day, I have learned that swapping accessories can make better use of outfits that you have to wear more than once. Whenever I invest in any kind of jewelry or accessory, I try to buy at least two things that match so I can wear them together, as I did here with the necklace and the cuff. One of my favorite places to buy jewelry recently is Charlotte Russe. They are super affordable and decent quality. I hate when things look cheap or tacky, but they have a nice way of keep the price down and the quality up. Color blocking is a great way to pair with an item like these shoes. Bright colors are everywhere. Are you bummed about summer ending? Don’t feel like you need to automatically switch to dark colors just because it is October. Rock the brights!! If you are afraid to go too bold all at once, these shoes, as well as other bright colored accessories are great for pairing with all black or the black and white trend that is booming right now (which I love by the way.) What better way to make use of your black/white basics? 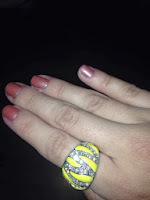 Today I used yellow for a pop of color with my black and white outfit. I have yet to dig out my fall and winter clothes, so these past couple of weeks have been tough as the weather has been changing. My Portofino blouses have been my go-to item for the past six months or so. I wear them tucked, or un-tucked (if they’re shorter and more fitted), to work and also with jeans. You really can’t go wrong however you wear it. Paired with some great accessories and it’s the perfect look! 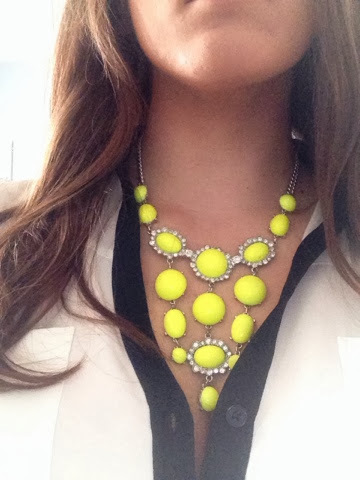 What is your favorite accessory? Do you have a go-to item in your closet that is perfect for all occasions?